It is my honor and privilege to reflect upon the life of me dear friend and spiritual director for over 20 years as we experienced the miraculous appearances of Our Lady of Light here in this area. First of all let me say that the reason of her appearances here was due to the Faith of this holy priest and his great devotion to her, as she stated to me in many messages. These messages are recorded in the five books of Personal Revelations of Our Lady of Light and in Fr. Smith’s book, Going His Way. In one message she gave to him, through me was: “Because you came to visit me in many lands where I appeared, I now come to you.” Our Lady also thanked him for leading many of her children to her and to her Son, Jesus. Fr. Smith was a very devoted and faithful servant of Our Lady, with a special devotion to her after his first visit to Medjugorje. He was urged by others to take them there to witness the apparent appearances of Our Lady to 6 children. She claimed him there and he never looked back. He took many more trips there and also to other apparition sites to honor Our Lady. Needless to say, he took many of his flock with him when he went. Our Lady told me in May of 1992 to tell Fr. Smith that she would be appearing at his church, St. Joseph in Cold Springs, Kentucky at midnight on the 31st of that year, which was hard for me to do since I did not even know this priest then. She chose this date and time, as it was the first moment of September 1st, which she told me Jesus wanted to be a Day of Mercy for anyone asking with a sincere heart. So, when I finally reluctantly went to Fr. Smith and told him what Our Lady asked me to, specifically that she would be appearing in his church, St. Joseph, on August 31, that year, 1992, I assumed that he would laugh at me and dismiss me politely and I would be off the hook with Our Lady. But that is not what happened. She already had other plans. When this information got out, it went on news broadcasts from all over the world and naturally there was a lot of skeptical talk and ridicule on Fr. Smith’s part. Yet, he endured great criticizing from the people of his parish and elsewhere. He took it with great strength of faith even though it put him on the spot and under a lot of stress. In spite of all this, he remained faithful to Our Lady’s call and carried out her wishes with determination. When he retired, he moved into the old St. Mary’s Seminary in Norwood, Ohio. He asked me to ask Our Lady if she would consider appearing there instead of at St. Joseph parish for the satisfaction of all concerned, because there was street construction going on in front of the Church and no room for the thousands of people that would probably be coming there on August 31st of each year, as she had promised to do. Our Lady’s response to him, through me, was: “Because you have honored my requests, I shall now honor yours.” True to her word, she did start appearing there from August 31, 1995 until August 31. 1999. After that time, Fr. Smith continued to lead his flock on more spiritual trips to Holy Places. It seems that the Blessed Virgin and Fr. Smith were travelling companions, taking others along the way to meet her Son, Jesus. In her messages, she states many times that she is the “door” to Jesus, and Jesus is the “door” to the Father. That is the reason for a “door” in the sky appearing in many photographs taken in many apparition sites of Our Lady. When Fr. Smith’s health started failing, Our Lady granted him the wish he always had of retiring to Florida because he loved swimming and the ocean. That was his plan and he would have done just that if Our Lady had not intervened and called him to be her “Ambassador – in the middle” – referring to the center of America. Fr. Smith often laughingly referred to that title being very true, because he was always caught in the middle of everything. From the beginning Our Lady said there would be three priestly sons called to be her special ambassadors here in America: One in the East (Fr. Rinfret); one in the middle (Fr. Smith); and one in the west (Msgr. Sweeney). These priests were all to be sent her “signs” on certain dates and they always happened, which surprised me as much as them. These “signs” are recorded in the five books of Revelations of Our Lady of Light. Fr. Smith’s first sign that I was telling him the truth was that I was to tell him that “he would know it was true because of the small gold cross.” Little did I know and did not know for a long time, that he had just purchased a small gold cross from a jeweler and was actually wearing it around his neck at that time. Fr. Smith actually experienced a miracle himself while visiting Little Audrey Santo with a group in August of 1997. She is a young comatose girl who has miraculous events happening around her, such as tears flowing from picitures and statues. Also many healings of different kinds take place in her presence. Fr. Smith was saying mass on a table set up in the back yard to accommodate the large crowds coming there and while doing so, the crucifix started to bleed from the chest and all the crowd of people there stared in amazement. This miracle is related in Fr. Smith’s book, Going His Way on page 104. Yes, Fr. Smith was a holy and inspiring priest that fought the good fight and was welcomed home on October 11, 2012 where I am sure Our Lady welcomed him with her open arms and walked him through the door to her Son, Jesus. It was said of Fr. Smith, “Wherever or however Our Lady or her Son beckons, he goes, he does and he leads”. That he did. As to him being a special chosen one for this mission, you can read his message of July 24, 1994, and it will be clear. I feel very blessed to share in this divine experience with Fr. Smith and the other four priests that were added to the list that were also involved in discerning all the messages that I received. They all shared one thing, the love of Our Lady. I’m sure Our Lady sent them to surround Fr. Smith to help him complete her mission here as Our Lady of Light. I feel I have just been a small piece of a larger picture that Heaven painted on this area and in our Land of America. Fr. Smith was placed at the wheel. May he forever rest in peace. I first met Gerry Ross when Fr. Smith called me and asked if it would be all right with me if a Mr. Gerry Ross, a friend of his, came to meet me and pick up the new messages that I had received from Our Lady. I hesitated because Our Lady had instructed me to always remain unknown as her messenger. However, Fr. Smith convinced me by telling me that he was a well respected man in his parish and was a close friend of his that he trusted implicitly. He further explained that Gerry was, in fact, his “right hand man” in giving him help whenever he needed it. Gerry Ross became the intermediary between Fr. Smith and me by accumulating the messages and delivering them to him. When I received messages for other people, such as Mother Teresa, after Fr. Smith approved them, Gerry Ross was the one that made it possible to get these messages to them. Matter of fact, Mother Teresa actually sent a response to him coming through the Lady of Light Foundation, about restoring prayer in the schools of America. This account and an actual picture of her letter can be found in the books of Personal Revelations of Our Lady of Light. Gerry Ross became the chauffer for several priests and others to drive them to the many different apparition sites here in this area and he would make sure that they would eat too. In this sense, he was very nurturing to those he had in his charge in these situations. In our many conversations, he told me that he and his wife accompanied Fr. Smith to Medjugorje on one of his earlier trips there, though he also had to be “talked into it.” He went on to relate that they travelled by a cruise ship and he witnessed many miraculous things that happened there. The clincher was, he said, was what happened on their return trip. He and several others in this group discovered their rosaries had turned to gold while they were praying. Our Lady, it seems, had snatched another faithful servant that would also be attached to the work of Fr. Smith for the purpose of completing her mission of Our Lady of Light here. In the course of time, Our Lady appeared to me and a lot of other people, in many different places and at different times. One of these “visionaries” was one of Our Lady’s own priestly sons, a Fr. Ed Carter, a professor of Theology at St. Xavier College in Cincinnati, Ohio. He not only admitted to seeing her on the first public apparition on August 31, 1992 at St. Joseph in Cold Springs, Kentucky, but a few years later, Our Lady started appearing to him and me together in the field in Ohio from April, 1996 until September 1997 on the 13th day of the month. This account can be found in Volume 4 of the Personal Revelations books. This is no coincidence either because Gerry Ross and Fr. Carter were schoolmates in St. Xavier College and were close friends. In the course of events that followed, Fr. Carter was thus joined to the three priests of Our Lady of Light, as was Fr. Kenney, a Marianist priest in Dayton, Ohio. I met Fr. Kenny when Gerry Ross took me to a healing service he had at Bergamo in Kettering, Ohio. Shortly after meeting him, Our Lady directed me to include both of these priests in receiving all of her messages for their discernment also. That is how five priests were hand picked by Our Lady to receive and discern all of her messages before they could be released to the public. Gerry Ross was the person that brought all of this together. As I said earlier, he was good at connecting the dots. 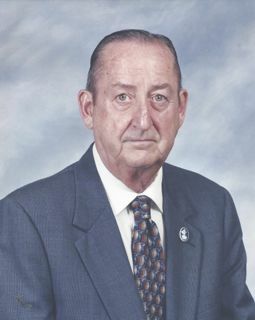 From the beginning, Gerry Ross was convinced of the apparitions and since he was now retired from General Electric as one of their executives, he had the time to devote in taking part of it, which he did most effectively. In fact, I believe that Our Lady actually chose him for his talent and capabilities to coordinate and orchestrate her mission here as Our Lady of Light. He brought the right people together and searched out donors to restore the old St. Mary’s Seminary, which was in a shape of deterioration, back to what it was. He enlisted as many faithful souls to volunteer to perform the duties needed to make it happen. And they all showed up and performed the great miracle that exists today as Our Lady of the Holy Spirit Center. Gerry Ross was instrumental in publishing the books of personal Revelations of Our Lady of Light. When searching for the title of her book of messages, he and Fr. Smith asked me to ask Our Lady her wishes for it. I naturally did so and she instantly replied. “Call them Personal Revelations because that is what they are.” So you see, that is how the books of Our Lady’s messages were named. Gerry Ross also organized the Marian Movement of Priests that met once a month at the Holy Spirit Center and kept them coming even when he had to pick up and deliver, which is what he did regularly. These priests became involved in the activity taking place there and even heard confessions and said mass when needed. They spent each August 31st hearing confessions of the large crowds that were there for Our Lady’s appearances at midnight. Gerry Ross was a mover that brought things together and kept them together as long as he needed to, as you can now see. While compiling these messages of Our Lady to put in book form, he realized that it would take a lot of work and research to verify and explain the contents of these books and he took on that responsibility too. And I might add, that he did it very well. As a matter of fact, at one point, Our Lady gave Gerry Ross a message (through me) that she was requesting him to also write his testimony of his experiences with her and it was needed for future generations. He intended to but was kept too busy with his other duties. He did comment shortly before he died that he never got around to write that testimony. However, I later realized that Gerry Ross most certainly did write his testimony and it is recorded throughout all five books of Personal Revelations of Our Lady of Light. He did this in the comments, also in the results of his endless research that was put in the books, and in his editorials he added within them. I would advise anyone wanting detailed information on the appearances of Our Lady of Light here, that they should read and absorb the wisdom contained within his research and in his words of explanation. He explains it all very well for the inquisitive and skeptical minds. He spent many long hours gathering information and travelling to accomplish this remarkable testimony of his, that is spread throughout all five of these books. Another incident, I feel okay in relating now is that Gerry Ross confided to me and a few others that he did see Our Lady while praying the steps that lead to the Church of the Immaculata (Our Lady’s “Church on the Hill”). He saw her there on top of the church where a statue of her stands overlooking all the Cincinnati, Ohio area. Details of The Immaculata Church are also intertwined with Our Lady of Light’s mission here. This information can also be found in the books of Personal Revelations of Our Lady of Light. Gerry Ross kept this vision a secret for his own personal reasons. Gerry Ross lost his battle to cancer in the year 2005 and he is missed and will be missed by those of us who remember. It was and remains an awesome and miraculous time to be alive. Gerry Ross had this way about him that could draw out the “good Samaritan” in people and at the same time inspire them to fill the role that was needed at that time to fulfill and complete the “House of Our Lady.” He was very capable and his persistence got done what needed to be done. Yet he remained humble in his own role that he gladly accepted. In dealing with others, he could always sway them to do the right thing and to make them feel special. I am honored that I shared time with him here on earth and we were able to work together for God’s purpose. Thank you, Gerry Ross, for saying “yes” to Our Lady. Now you are favored by her real presence. May you rest in the peace of Our Lord. To find out more about Gerry Ross, check out Volume V of Personal Revelations on page vii in the beginning of the book.